What Does The Best Bond Cleaning In Enoggera Cover? Finding and selecting reliable house cleaning in Enoggera is not easy. The most common questions we get asked by people like yourself have been collated below to assist you in making a smart decision. 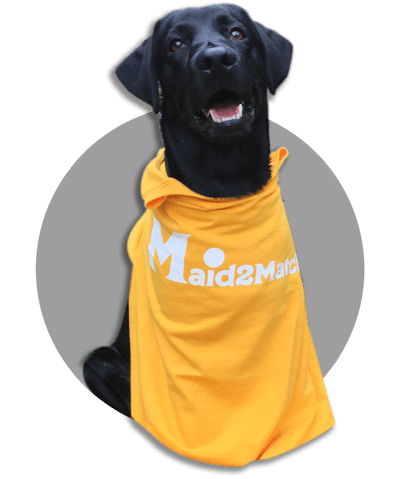 WHY ARE MAID2MATCH ENOGGERA’S BEST AT VACATE CLEANING? The truth is great bond cleaners possess a different skill set than regular house cleaners and therefore requires specific experience, dedication, and a first-class cleaning checklist. At Maid2Match, we personally vet all our cleaners, after having them complete a three-part application form. We provide extensive support and have crafted the most effective bond cleaning checklist you’ll find. Don’t take any chances with your end of lease cleaning, contact us today. Enoggera is one of Brisbane’s suburbs, located 6 kilometres to the north-west of Brisbane CBD. Its western part lies at the foothills of Enoggera Hill, which offers a beautiful landscape and a rich history. One of the most famous heritage listed houses is Killarney, located at 9 Laurel Street. This detached house was built for Timothy Corbett in the 1860s, a famous property owner, businessman, and farmer. With its interesting early brick architecture, Killarney is one of the oldest houses in the area. The Enoggera Memorial Hall located at 349 Wardell Street is a worthy stop as well. This World War I memorial hall is a history museum designed by Colonel Thomas Pye. You can also go to Electric Bikes Brisbane (1A/60 Pickering Street) if you love your cycling. Riding an electric bike offers an exhilarating experience, not to mention it a unique experience to try at least once. And there’s a variety of models you can rent. The Enoggera Pool at 154 Samford Road is just the place if you want to squeeze in a swim. Additionally, it offers water aerobic classes, with the great advantage that the pool is covered and heated, so you can enjoy it even in the colder winter months.